Click image for lesson ideas. 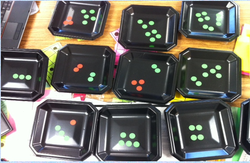 Arrow cards are manipulatives that allow students to visually see place value. This set has directions for color coding and the set goes through ten thousands place. 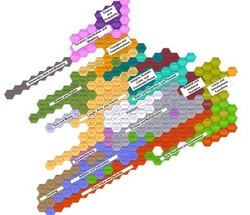 the North Carolina State University College of Education, you can find a comprehensive "hexagonal" progressions map for all K-12 CCS mathematics standards. This progressions map may be helpful to educators thinking about most effective curriculum mapping strategies. This PowerPoint presentation was created by Jenny Ray, former math Content Specialist with KDE. It is intended for teachers to gain a better understanding of what it means to teach fractions conceptually. 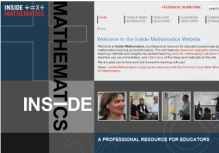 It relies heavily on research-based information about how students learn mathematics. This presentation will show how to use fraction circles, cuisenaire rods, number lines, fraction strips, and other manipulatives so that students get hands-on learning experiences in the classroom. Please click on the image to download the presentation. Contact Renee' by clicking here if you have questions and/or comments. including the Kentucky Numeracy Project materials, etc. If you would like to be redirected to the FA Lessons page which includes Formative Assessment Lessons for each grade level, please click Elementary Formative Assessment Lessons.